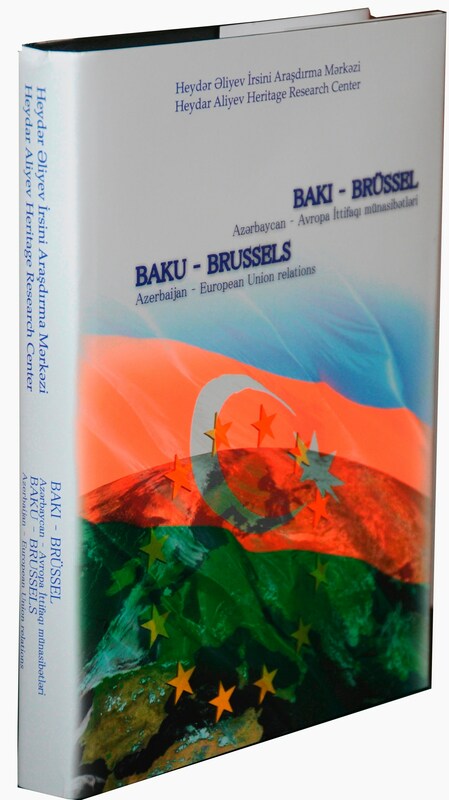 “Baku-Brussels (Azerbaijan-European Union relations)” was published. The book is devoted to the fifteen year anniversary of signing the Agreement of Partnership and Cooperation between the Republic of Azerbaijan and the European Union. The book constitutes scripts of meetings of the national leader of Azerbaijan HeydarAliyev and the president of Azerbaijan IlhamAliyev with the EU delegation, including the EU statements, resolutions and communiqués on Nagorno-Karabakh. Moreover, historical references, inquiry materials and photos have been incorporated in the book.